We are about to kick off our 9th accelerator program in September. 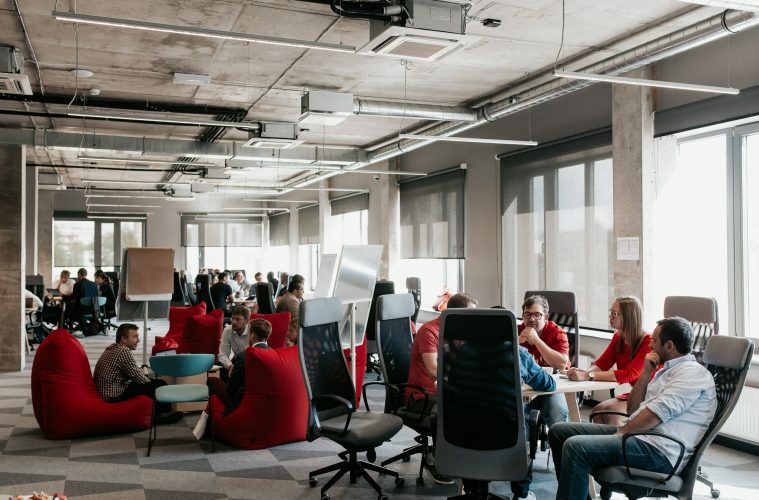 The search for 11 awesome startups took us to more than 20 cities in CEE region and beyond, mentoring B2B startups and participating at tech events and pitch battles. We received 160 applications from 30 different countries with Ukraine, Serbia and Romania being even more active than the Latvians or Estonians. This year again confirmed that Ukraine keeps developing more and more startups with innovative solutions. Baltics continue going strong, what is interesting that Latvian startups are even more ambitious than Estonian ones. Small countries like Armenia and Moldova looking for first international role models. We also saw the indication that Baltics is starting to be a great base for non-CEE early stage acceleration, as this year marked growing applications from Italy, Germany, Turkey. Previous programs already showed that startups from Ukraine and Belarus see Estonia or Latvia as good gateway to EU. This year there were plenty of applications also from Serbia and Romania. However, although we strongly believe that Balkans could be a hot-spot for innovation in near future, this years applicants from these countries were not strong enough to make it to the finals of our accelerator program. Startups continue to seek to disrupt the HR & Recruiting, but this year we noticed the level of technical sophistication is on the rise, especially with the use of AI and large data sets (think Social Media profile, GitHub, etc) to support smart selection and candidate screening. It seems startups want to help companies not only find the right candidates to get the job done, but they also want to help companies screen out high-risk profiles that could potentially lead to security, terrorism or other high stress employee failures. If what we saw is any indication, the future doesn’t bode too well for IT recruiters who may soon play a less influential role in the talent hiring value chain. Be it Two-Sided Industrial Process Marketplace, Uber-Like Delivery Services, or Specialized Talent Sourcing. Cyber, Blockchain, AI-Supported Decision Making, 3D Printing.. if some years ago we saw the shift from deep tech to e-commerce and marketing related B2B startups, now we see them returning back to roots with deeply technical solutions and adding AI (small caveat here is that while all startups mention AI powered solutions only a few really have an AI solution worth investing one) and big data on top of existing technologies. That in turn creates demand for more complex solutions of cyber security, data privacy and other risks. Blockchain has been the cool thing on the block already for some time (with a huge amount of the developer community coming from CEE and Russia), but now we see it being applied in smarter ways. In combination with crypto currencies markets, we see more and more startups considering ICO (initial coin offering) as ways to raise capital, and already got one ICO Financed startup in our selection finals. While ICO funding may get harder in the near future, we believe this funding channel will stay for good and many of our startups will leverage this in the near future. At the same time we are already starting to work with traditional investors that may want to jump into the ICO and token economy space. The potential launch of country backed crypto currencies (with Estonian EstCoin making an announcement last week) might take some of the fears away from the more traditional guys. We see more and more solutions created by startups to solve and address their own needs such as IT administration, AI personal assistants, governance, recruiting and similar. We see second or third wave of niche companies on digital advertising – challenging or complementing Facebook and Google. The question is, would any of these startups succeed in bypassing the giants and coming up with true innovation to get decent market share? Last but not least, the overall maturity level of early stage startups applying to our program keep increasing – we have more second and third time entrepreneurs, some teams come with already investors on board and launched products with paying customers. This probably means that the region as a whole is maturing, but also that our program can handle it and founders know it.